Undisputed cruiserweight champion Oleksandr Usyk 15-0 (11) insists he has nothing to fear from a “street fight” with Tony ‘Bomber’ Bellew 30-2-1 (20) after fighting his way out of the ghetto as a kid. The 31-year-old Ukrainian southpaw, who holds the WBC, WBA, IBF, WBO and Ring magazine belts at 200-pounds, will meet Bellew at the Manchester Arena in Manchester on Saturday night. Liverpudlian Bellew, 35, questioned Usyk’s grit at the final press conference ahead of the fight. “I’m meeting a man with exceptional skills, talent, who has everything except one thing – the ability to turn peoples’ lights out with a blink of an eye,” said Bellew. “He is the ultimate test, the most complete fighter I have ever met, he’s amazing at what he does, but I’m going to drag him into a street fight, break him and knock him out. The champion hit back with a little history lesson about his upbringing. 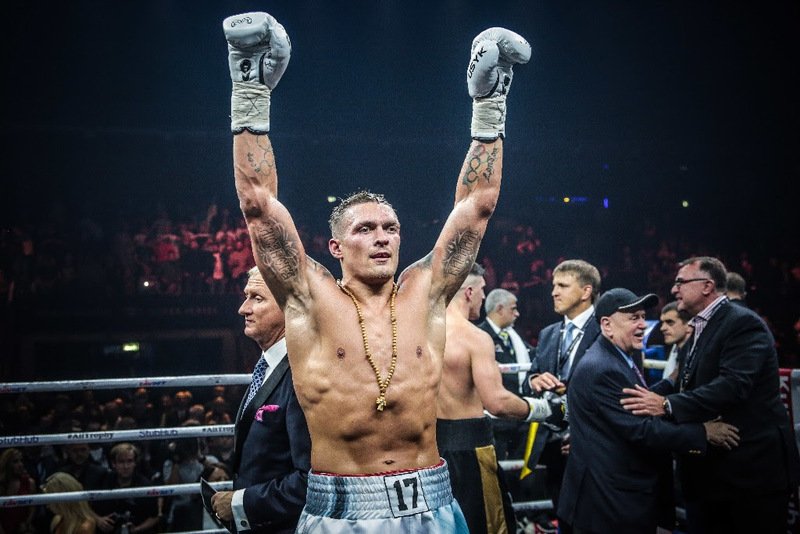 “How do you think I got into boxing?” asked Usyk. “By having so many street fights growing up in a ghetto with drugs dealers and prostitutes… but this is boxing. I grew up having to fight and defend myself as a kid. Life was tough growing up and boxing was a way out of that. Bellew has said that this will be his last pro fight and he is looking to go out with a bang. “This is the richest fight in the history of the cruiserweight division,” said Bellew. “He brings the belts, I bring the money. I could have called out Dillian Whyte, rolled around on the floor and brawled on The Gloves Are Off and sold one million pay-per-view buys.